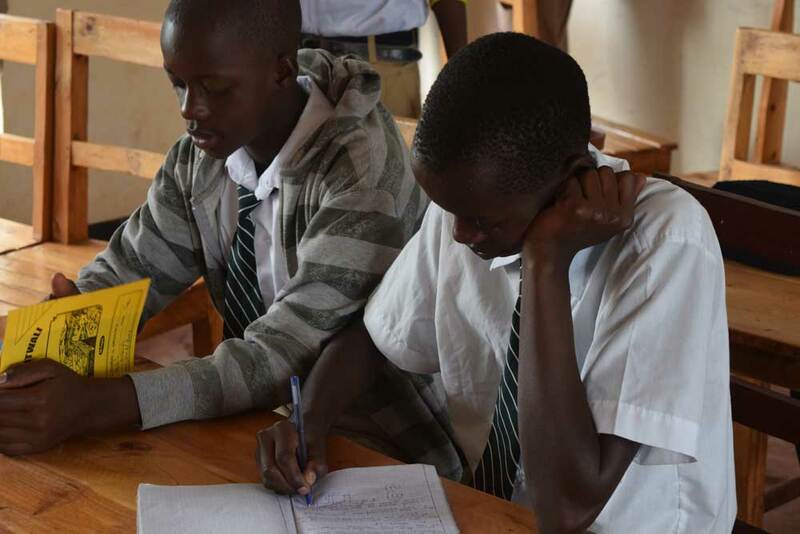 PEACE Lutheran Church invites Nevada County residents to help train future leaders at a secondary school in the central African nation of Rwanda. A new science building with laboratory space and equipment for biology and chemistry experiments are the most recent additions to the Rwamagana Lutheran School, which is supported by PEACE’s Rwanda Connection Committee. A girls’ dormitory complements the classroom wing. And thanks to support from Lutherans throughout Northern California, the school for 7th– through 12th-graders also has the best library in the district. 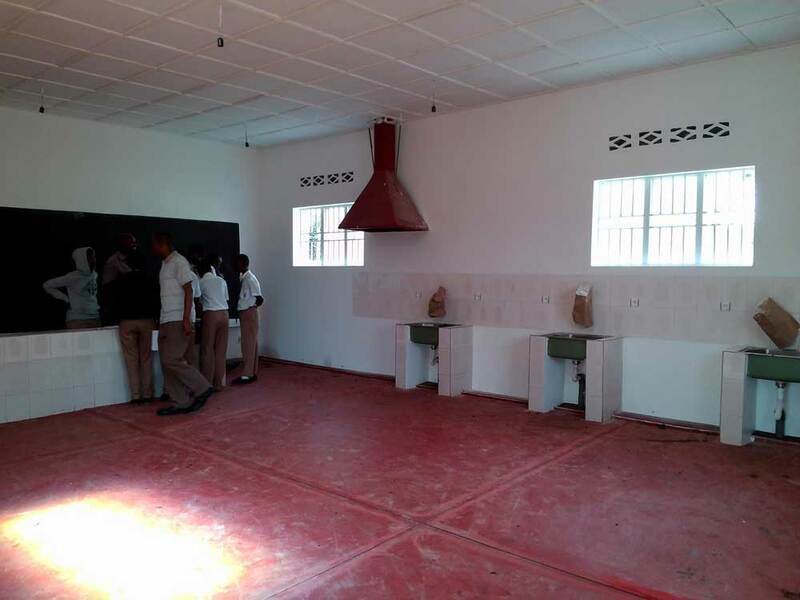 On Feb. 8, the Rwanda Connection Committee will host a free luncheon where people can learn more about the progress of this expeditionary learning school in eastern Rwanda. Joy Petty recently visited Rwamagana with her 16-year-old daughter, Ellie. They will discuss the school’s achievements and needs at 12:15 p.m. Sunday, Feb. 8, at Peace Lutheran Church, 828 W. Main St., Grass Valley. A free luncheon is offered; please call (530) 273-9631 to RSVP. Petty, of Santa Rosa, Calif., is the treasurer and past president of the Rwanda School Project, a nonprofit group that gathers support for the school. Petty also will speak at the 10 a.m. adult Bible study and briefly during the 11 a.m. worship service Feb. 8 at Peace. Hint to luncheon attendees: Look for the Rwanda Quiz on the tables. Prizes including Fair Trade tea and chocolate bars will be given for the most correct answers. Rwamagana is a commercial and coffee hub 30 miles east of the capital of Kigali. Despite the city’s size, it has no public library; the Lutheran School’s library draws “voracious” young readers, Petty said. The library and new lab anchor the school’s mathematics and science focus, which recently won government accreditation, Petty said. That core focus is forming young Rwandans who will be able to lead their country into sustainability amid deforestation and water scarcity. “We want to teach the next generation to be good stewards of the Earth,” Petty added. About half the students at Rwamagana Lutheran School are girls – unusual in a country where poor families favor educating their sons, Petty said. About half the students also receive financial aid, mostly from American donors. Science and technology books, scholarships and a boys’ dormitory are next on the school’s list of needs, Petty said. But her visit isn’t just about seeking help. PEACE members know they are fostering “leadership by young people with strong critical thinking skills, sound academic and moral training, good science and math ability and a good understanding of teamwork and self-discipline,” said Siri Fenson, who is organizing the event. PEACE Lutheran Church’s connection to the school goes back two decades. PEACE member Tony Waters was the first Nevada County resident to meet the Rev. John Rutsindintwarane, a Rwandan pastor living as a refugee in neighboring Tanzania. (Rwandans had fled to Tanzania, to the east, since violence erupted in 1959.) After the genocide of 1994, “Pastor John” and other Lutheran leaders returned and re-formed the Lutheran Church of Rwanda. In 1999, Rutsindintwarane visited the United States, including Grass Valley; at the time, he was general secretary of the Lutheran Church of Rwanda. Members of PEACE formed the Rwanda Connection Committee and have supported the purchase of land for the Rwamagana School, its construction and student scholarships. In addition, the committee supports projects of the Lutheran Church in Rwanda, including the education of church leaders at the highest level. In 2004, the Sierra Pacific Synod (the Sacramento-based regional organization of the Evangelical Lutheran Church in America) became a partner with the Lutheran Church of Rwanda. The school’s construction started in 2006 after the synod bishop visited “and learned of the need and vision for the secondary school, especially for girls,” said Pat Baker, a long-time Rwanda Connection Committee member. The school is largely the vision of American Robin Strickler, a talented educator and administrator who met Rutsindintwarane through her Lutheran church in Virginia while he was studying there. 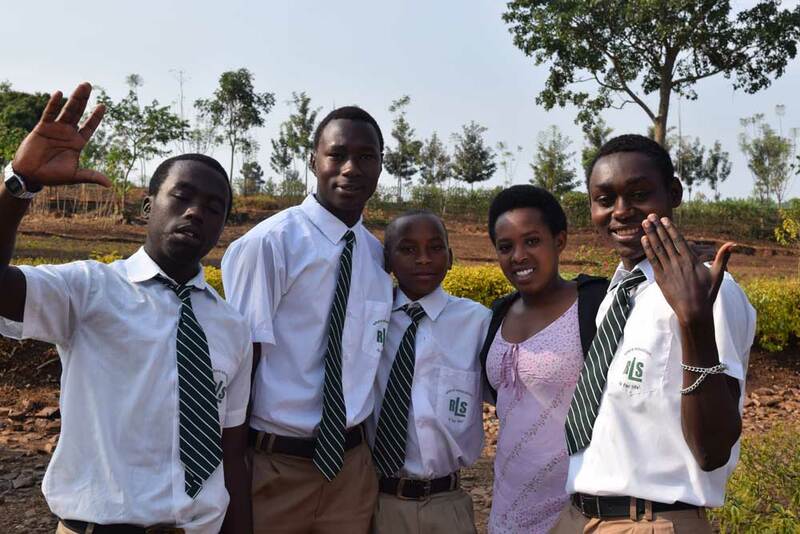 Back then, she imagined “a much-needed secondary school that would bring together students from all levels of society to develop the leaders Rwanda badly needed after the genocide,” said Baker, who has followed the school’s progress since its earliest days. Rwamagana Lutheran School demonstrates how God uses people to work out his plans, Baker added. “The things Robin mentioned (back) then have now come to pass: practical skills, a school built with sustainable systems and teaching students how to do the same when they graduate,” she said. Strickler remains the school’s program director, working for a board of Rwandans who run the school. A second board composed of Americans assists with finances, Baker said. Strickler is married to Rutsindintwarane.